does a lotta damage, super effective to all types. 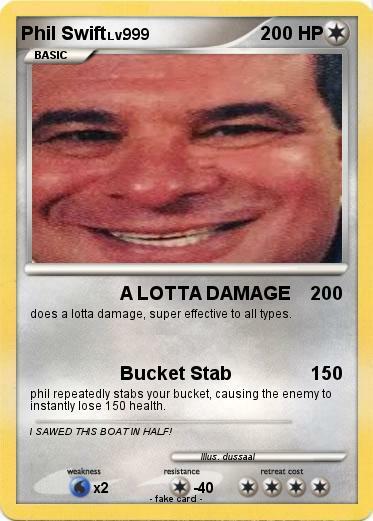 phil repeatedly stabs your bucket, causing the enemy to instantly lose 150 health. Comments : I SAWED THIS BOAT IN HALF!